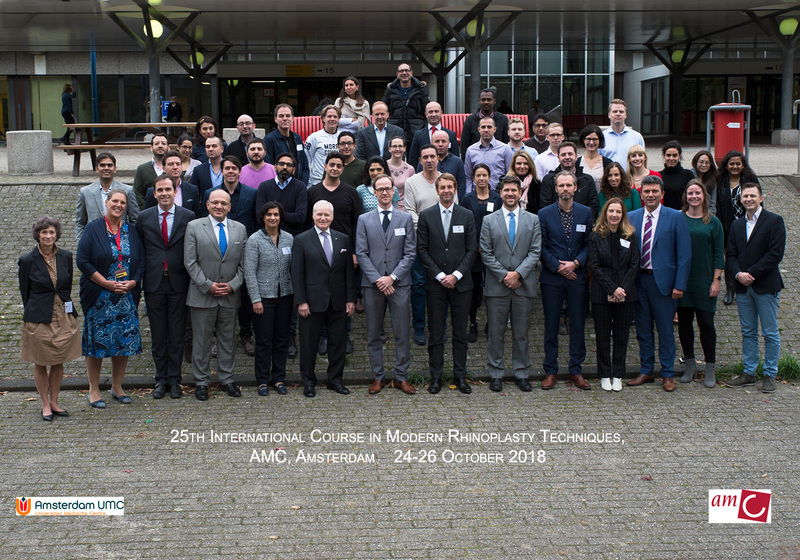 This course is designed to provide participants with a comprehensive overview of the surgical anatomy and techniques for functional- and esthetic rhinoplasty. More experienced surgeons will have the opportunity to enhance their skills in the finesses of esthetic rhinoplasty while less experienced surgeons can learn and practice the basic principals in nasal surgery. Osseocartilaginous vault surgery; hump resection, micro-osteotomies. Basic approaches to the nasal tip; non-delivery, delivery and external approach. Grafts in nasal surgery; harvesting techniques, spreader grafts and composite grafts. Alar insufficiency and alar base surgery. Guidelines to rhinoplasty in children. 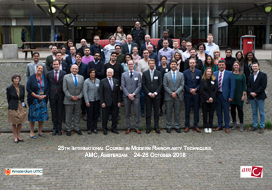 Photo: Participants from 25 different countries, 25th Course 2018. Teacher of Honour: Peter A. Adamson, Toronto, Canada.